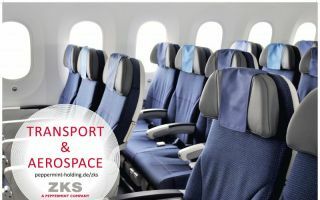 The Czech Republic has become a partner country in mtex+, the 6th International Trade Fair for Technical Textiles, which takes place between 31 May and 2 June 2016 in Chemnitz, Germany. 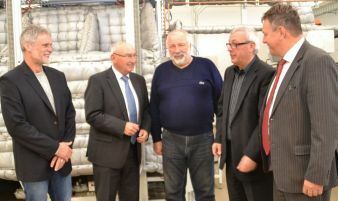 This was agreed recently at a meeting in Prague between the Czech Textile Federation Atok, the Federation of the North-East German Textile and Clothing Industry (vti), the Czech Techtex network Clutex and trade fair organiser Messe Chemnitz. "The Czech Republic has a highly developed textile and clothing industry and internationally renowned textile research institutions," explains Michael Kynast, who heads the trade fair, "but it does not have its own trade fair for technical textiles. Atok and Clutex have recognised the benefits of our exhibition site, located close to the border. 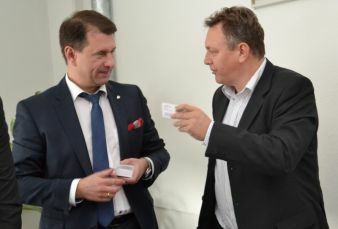 The two associations will make mtex+ even more widely known in the Czech Republic and will be organising a regional cluster meeting in Chemnitz during the fair. We are expecting large numbers of exhibitors and trade visitors from across the border." Michael Kynast, who heads up the trade fair, also described as "promising" the talks he has had in the past week with Russian and Turkish textile companies. The delegation from Turkey was visiting the textile and clothing sector in Saxony at the invitation of the premier of Saxony, Stanislav Tillich; the businessmen expressed great interest in mtex+. The Chemnitz fair is also expecting trade visitors from Poland. In February 2016, a delegation from mtex+ and vti will be travelling to Poland to introduce the re-formulated trade fair to Polish manufacturers of technical textiles and to the local textile federation. The activities of the 'enterprise europe network', which operates across the EU, also do justice to the international character of mtex+. A few days ago, IHK Chemnitz and its international partners started approaching small and medium-sized businesses from south-east Europe and Turkey to participate in B2B meetings that would take place during the 6th mtex+ fair. „Chemnitz is recognised as the textile capital of Germany,“ says Bertram Höfer, managing director of the vti. "It lies at the heart of the ultra-modern textile and research region of Saxony-Thuringia. 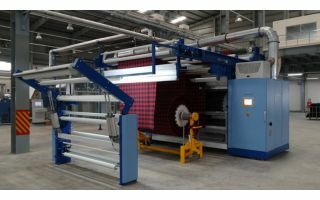 Technical textiles and textile bonding materials are conquering an ever larger number of fields of application. At our trade fair, with its compact space and capacity for forging intensive personal contacts, decision makers, development engineers and lateral thinkers from all industries can really get their money's worth." He continues: "As part of a special exhibition, our Federation will be presenting a current networking project on the subject of functional textiles for clinics, care, rehabilitation and wellness institutions. Other agencies that will be presenting the results of their work at mtex+ include the largest German textile research network, Futuretex, which is managed by the Sächsische Textilforschungsinstitut (Saxony Textile Research Institute) in Chemnitz, and the SmartTex network which operates out of Thuringia." In contrast to previous mtex trade fairs, which were restricted specifically to mobile textiles, this mtex+ will be devoted for the first time to the entire breadth of technical textiles, their development, manufacture and application. Under the headline "Discover hightextiles + functions! ", it is positioned as the discovery fair for product development, process optimisation, networking and knowledge transfer. Manufacturers of technical textiles can make use of creative input from the ranks of the next generation in the textile, clothing and design industries: For the first time, the 6th mtex+ and specialist magazine “textile network”, published by Meisenbach, are awarding the 'mtex+ Student Prize' for students from relevant universities.